Bring stock to the boil and add the couscous. Remove from heat and stir with a fork. Cover pan and stand about 5 minutes or until liquid has been absorbed, fluffing with fork occasionally. 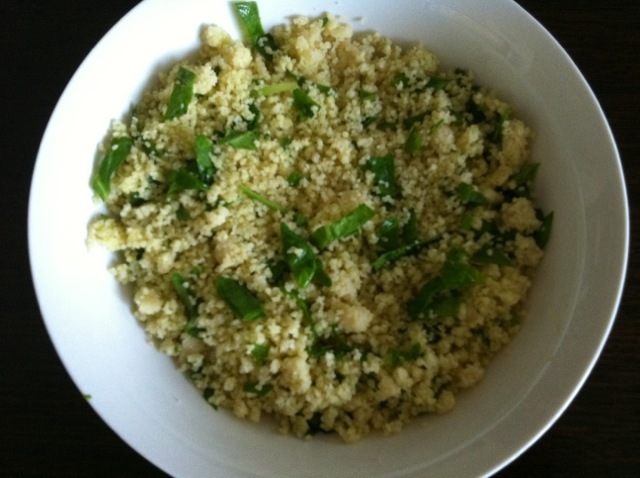 Stir butter and spinach into couscous.